Created by reflexologists for reflexologists, this Equilibrio retreat brings us together in a beautiful and tranquil setting, to learn more about maintaining women’s health in balance. We are proud and excited to have Hagar Basis with us again in 2019, following a fantastic and joyous retreat with her in May 2017. Your day begins with a Yoga & meditation session; breathing in the fresh mountain air & soaking up the stunning views. Following a delicious breakfast, workshops will focus on the theme of women’s health. The week will also include a workshops on the use of herbs to support women through the different stages of life and self-care techniques and information which you can share with clients or simply adopt for yourself. Hagar will offer two half day workshops introducing potent and effective techniques to promote balance and wellbeing. All activities are optional, which means you can take the opportunity to fully relax and recharge, selecting the activities that best meet your needs in that moment. Delicious and healthy meals are provided by the dedicated kitchen staff. There is plenty of time to explore the stunning mountain location and to enjoy the centres facilities. Our price for this retreat is £795. There is a 10% early-bird discount for guests paying in full 4 months before the retreat begins, so a cost of £715. This price includes 6 nights accommodation in a twin shared room (single occupancy available on request with supplement cost), three meals a day, daily yoga & meditation classes, four workshop sessions, treatment exchange sessions, 2 complimentary holistic treatments and full use of the centre facilities including the outdoor pool. It does not include flights or transfers. Each day starts by nurturing your physical and mental well being. These sessions are suitable for everyone from beginners to advanced and individual requirements can be accommodated for. Like the rest of the programme this session is optional, so if your needs are better served by staying in bed that’s fine too. The focus in the kitchen is on tasty and health-giving meals. Each day will be an opportunity to experience and gain information about eating well. The team section on this page gives you more details about the workshops. Making full and fantastic use of the abundant local and homegrown vegetables, local olive oil, cheeses and other local produce. Two treatments from top quality bodywork practitioners are included in the Equilibrio experience. As well as relaxing, energising and balancing you, you will gain or increase your first hand knowledge of these therapies. As part of the Equilibrio team, these practitioners will be on hand at other times during the week to share their knowledge with you in a relaxed and informal way. There will also be time and space in this session to team up with one of the Equilibrio reflexologists or other participants for a treatment swap and more in depth sharing should you chose to do so. Whether newly qualified or an experienced reflexologist, learning from and sharing knowledge with peers can be interesting and rewarding. Experiencing each others techniques and discussing methods of treatment allows us the opportunity to look at things in a different way. It can be a great way to build confidence in our own skills and empower us as therapists, especially if we are working in practice on our own or returning to reflexology after a break. Thursday morning will be free and is your opportunity to explore the wider area, go hiking or horse-riding, visit the local town market or the mountain villages. Your host Anna will be available to organise any trips you would like to take. This is also the time to swim, walk, sleep in the sun, to breathe in the beautiful mountain air and to fully relax. There are many interesting books in the library which you can borrow during your stay. Another culinary delight, also including a sumptuous and surprisingly healthy desert. Evenings are free time for star gazing, moonlight swimming, chatting or just hanging out. Wednesday is our official ‘lazy day’, with no morning workshop, this is your opportunity to get out and explore the local area, take part in more treatment swaps or simply relax and enjoy the space and tranquility of the retreat centre. 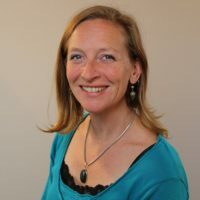 Hagar originally trained with Anthony Porter back in 1988 and has delivered the Advanced Reflexology Techniques ART™ post-graduate training programme to reflexologists since its conception in 1989. In 1997 she was appointed Course Director for the International Institute of Reflexology (UK), teaching the Original Ingham Method. In 1998, in recognition of services to Reflexology, Hagar was awarded Honorary Fellowship of the ART Register of Advanced Reflexologists. Hagar is the director and founder of ‘Reflexology Academy’ in London, teaching the Level 5 Mastership in Reflexology Practitioner Training. 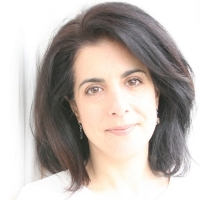 In addition to her own private practice in reflexology and massage therapy, Hagar delivers post-graduate seminars and workshops in reflexology both in the UK and internationally. In May 2016 Hagar was one of the speakers at the 9th RiEN Reflexology Conference in Brussels where she presented ‘Reflexology For Women’s Health in the Third Age’. 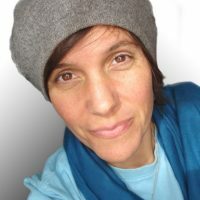 Hagar’s 27 years of practical experience as a reflexology educator and practitioner has enabled her to refine, adapt and enhance techniques for their therapeutic effectiveness, integrating the very best for a unique and powerful approach. Hagar will offer a practical workshop on ‘Reflexology for Women’s Health’ which aims to introduce potent and effective techniques to apply during the transformational processes unique in all stages of a woman’s life: Menstruation; fertility; through to the onset of menopause; and including the development of female sexuality. The approach will fundamentally be on ‘Moving the Energy’, encouraged through the application of the reflexology techniques taught. We know that any disruption to the movement of energy – our ‘life force’, also known as Qi – leads to disharmony. When there is a deficiency in our life force (which is our inherent vitality), the body becomes weak or blocked and this is when dis-ease and pain can occur. It’s important to point out that the techniques shown can be used on every body regardless of gender and also can be immediately integrated for practical use. Host and facilitator Anna Bartholomew (MAR) is a reflexologist and an experienced retreat and events host. Trained in Thai Reflexology Massage in Krabi, South Thailand and later in Reflexology at the London School of Massage, she has also undertaken training in Advanced Reflexology Techniques (ART) and Advanced Spinal Reflexology. She has continued her professional development by attending workshops in Women’s Health, Mobilisation Techniques and The Treatment of Pain. She currently works from her therapy room in Orgiva and at various retreat centres in the area as well as at one off events. She is very experienced in providing reflexology to clients dealing with grief, anxiety, depression and stress. Host and facilitator Jane Bartholomew MAR ART (reg’d) trained at the Oxford School of Reflexology. Since then she has continued her professional development by attending courses in: Advanced Reflexology Techniques (ART); Vertical Reflex Therapy (VRT); Pain Management Techniques and the treatment of pain; Clinical Reflexology; Maternity and Fertility reflexology; Baby reflex and Palliative and Supportive Care. 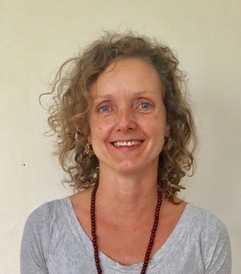 She worked, for 8 years, at a Holistic Health Centre in Cheltenham where she gained a broad knowledge of complementary therapies and experience of co-treating with professionals of other disciplines. 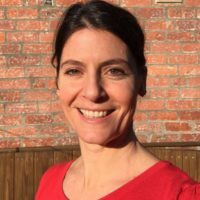 She now lives in Manchester where she works primarily with maternity and fertility clients and those suffering from pain, stress and anxiety. She also works for a cancer charity. 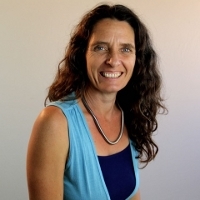 Leonie has practiced yoga for over 20 years, with a passion for its healing and transformational effects. She has studied many different styles and been graced with the association and guidance of many amazing Masters of various traditions, including ten years intensive training and approval as a teacher by Sri Swami Purohit, as well as in Hatha and Astanga styles. She has an interest in all true yoga paths. 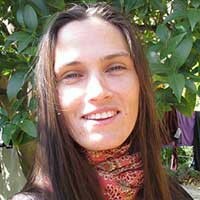 An experienced retreat yoga teacher she is well used to working with mixed ability groups and adapting to their needs. She has also been working as a holistic therapist since the year 2000 and has a broad understanding of the mind, body, soul connection. Sofia Abalos: ITEC holistic massage therapist and advanced Mizan therapist. As an avid woman’s health advocate, Sofia has specialised in Mizan therapy, which uses nurturing abdominal massage alongside other supportive traditional practices and nutritional wisdom to bring health and balance to the digestive and reproductive systems. Over the past couple of years Sofia has predominantly worked on women’s retreats. Although this can at times be a demanding and intense format it is also an environment where women often go into a deeper space of awareness allowing them to open up, share and heal more profoundly, a process that as a therapist is also very satisfying to witness. A typical Mizan session would involve an abdominal health consultation, an abdominal massage which would include the front and back of the abdomen with special attention to the sacral area (the lower abdomen is worked over a sheet and the privacy of the client is well guarded at all times), followed by some self-care instructions as well as feedback and techniques to support ongoing health. A general workshop with ideas and resources for self-healing: information on living within your energy means, expanding our awareness of how our wombs work, seasons of the cycle, a simple self-massage and loads of resources for use at home. Your health in your own hands – literally! Mizan uses traditional healing techniques to address conditions involving reproductive organs, the digestive system and emotional health, for example; menstrual issues, menopausal symptoms, yeast infections, endometriosis, fertility issues, POCOS, IBS, Crohn’s disease, chronic constipation to mention a few. These techniques are commonly used in India and further east for optimising women’s health. Some of the more common benefits of Mizan therapy are; increased circulation to the reproductive organs promoting hormonal balance, helping to reposition the misalignment of the uterus which will balance the circulatory, lymphatic and nervous systems surrounding it, helping to cleanse the body of any toxic build up from congested circulatory systems, it can help heal and break down scar tissue from operations or cesarean, aids the digestive system to become more efficient, removing toxic build up and enhancing the immune system, and helps women to reconnect to their womb space. Sophie Paulding is a Medical Herbalist. Holding a BSc in Clinical Herbal Medicine (2006) she has been studying and using herbs for over 15 years. She currently speaks at various retreats and runs a successful clinical practice in our local town, Orgiva. She is enthusiastic about effective herbal treatment and loves to share her views on how herbs can be used in varying ways depending on dosage needs and the therapeutic relationship. Her workshops are always interactive and entertaining with an intelligent blend of down to earth information and more complex physiological scientific concepts which really add to and deepen our understanding. So, whether it is the first time you have attended a herbal medicine workshop or you already have a lot of knowledge in this field there is sure to be something for you! Womens Health has always been at the core of Sophies’ interest. In this workshop we will be looking at the holistic approach taken in the herbal treatment of womens health conditions from menarche to menopause and beyond. We will discuss and discover relevant herbal actions required including the rather vague and misused term “hormone balancing”. Most importantly we will be taking a look at the function of herbs to clear the channels of elimination which is imperative in any successful treatment plan. There will be time for questions, tea tasting and the sensing of herbs to suit the individual. Charlotte is an Holistic Aromatherapy Massage Therapist with over 17 years of clinical experience. Alongside her career as a therapist at retreats & private clinics, Charlotte has worked as an Aromatherapy Consultant, an Assistant Massage Teacher and a Retreat Manager. She also works “behind the scenes” doing Equilibrio’s Administration. Charlotte will be providing Holistic Massage at the retreat and will be available to share her knowledge of aromatherapy and massage throughout the week. Holistic Body Massage with Charlotte. The treatment Charlotte gives reflects the rich experiences she draws upon, to aid relaxation and release of tension; promote flexibility and balance; and maintain the body–mind in harmony. Her treatments are formed by her interpretation of her clients well-being, based on the Chinese 5 element system: She combines therapeutic massage & aromatherapy with various bodywork techniques including acupressure, pulsing, trigger point therapy & myofacial release and subtle energy work, to help bring body systems into healthy alignment. A thorough and firm yet nurturing body massage. Charlotte blends specific organic essential oils according to the clients needs and uses them together with a range of bodywork techniques she has learned from various traditions over the past 16 years. By encouraging deep relaxation, tonifying the body’s systems and aiding the elimination of toxins, this enjoyable massage can restore and maintain the body and mind in balance, harmony and well-being. Stay in touch, sign up for our newsletter.